THE CANNONVALE Post Office is on the move. It will close at 5pm this Friday March 22, ready for business at its new premises at 9am on Monday March 25. "The new Cannonvale Post Office will provide a modern fitout and design and offer a range of new services, including smart parcel lockers, a dedicated parcel hatch and a larger space with increased product offering," according to a statement in the window at the current location. 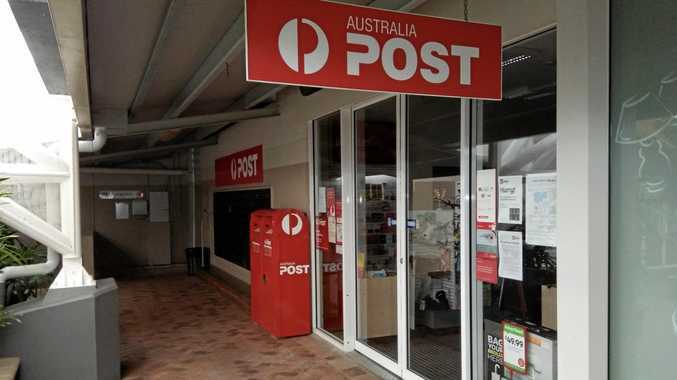 An Australia Post spokesperson said the post office, currently at the Whitsunday Shopping Centre, would be relocating to Paluma Rd about 4km away from the current site. The new premises will be 'bigger and improved' offering customers a better experience, the spokesperson said. In a first for the Whitsundays, the post office will feature a 24-hour access 'zone' which will allow customers 24/7 access to parcel lockers and a postal product vending machine. The spokesperson said the 24-hour access was very similar to a 24-hour zone at a bank. "It's super convenient," the spokesperson said. The new post office will be at Shop 3A, 16 Paluma Rd. Customers will still be able to collect their parcels after hours through the parcel hatch, and access PO Box mail with their existing PO Box Key.